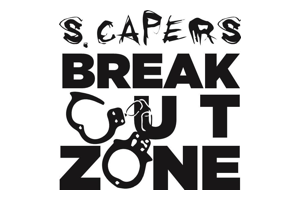 Escape Zone is located on the 2nd floor right on Spadina between Dundas and College. Upon entering, there is a nice lounging area with a small selection of board games and a photo wall. Lockers and restrooms can be found at the back of the building. Customer service was average and the pre-game experience felt lacking with the way the story was introduced. 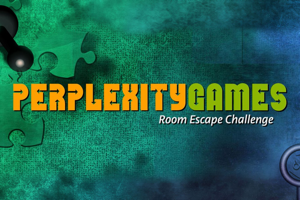 Also, upon finishing the room, it became obvious that the pre-game story and introduction were not sufficient to help you get through the room. There were a few technical details that were not mentioned which had a large impact on our gameplay and time. Even having printed instructions included with the puzzle would make the experience whole and not leave customers feel like they failed based on a technicality by the company. Treble in the Studio takes you into a recording studio, where you and your band have just reached the finals for a national music competition. However, during your final rehearsal you discover that you have been locked in the studio by a suspicious character and need to escape to make the finals. The room’s description on the site states that no prior musical knowledge is required. However, having prior musical knowledge will give you an advantage as some puzzles are music related. The puzzles were challenging and required great attention to detail. The room itself was a smaller room, but worked with the story of being a recording studio booth. The room was complete with actual instruments as well as padded “soundproof” walls and a small mixer which allowed for good immersion. Overall, despite the technicality that stalled gameplay, Treble in the Studio offered challenging puzzles and is a good room for couples. Previous story We want YOUR feedback!